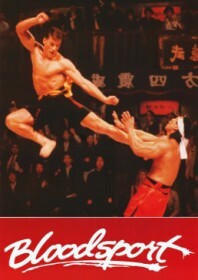 Popular B movie which not only established Jean-Claude Van Damme as the hottest action property around, but also brought about the rebirth of the tournament movie (particularly in Hong Kong), an almost killed-off kung fu movie cliché. This is essentially Enter the Dragon only bloodier and sweatier. Van Damme plays real-life fighter Frank Dux, who escapes the army to represent his dying teacher in the brutal Kumite, a violent Chinese martial arts tournament held in secret and featuring some of the world’s most vicious fighters. Van Damme has never looked better with his flashy footwork more than compensating for some truly terrible acting, complimented by a great turn from Bolo Yeung as the Kumite’s leading antagonist. The film is more than equal to the sum of its parts and an absolutely shameful treat.